“We are people who scoop. Environmentally active students.” That’s the welcome message for prospective students. It was raining when @ilynam and Yuki joined me for the first meeting to create a website for the 500 garden database of Japanese gardens outside Japan, a project I am helping Suzuki sensei with this year. At the entrance to the school, somehow this rainy scene was an apt start for this exciting project where we will mix design, gardens, pixels, and soil. 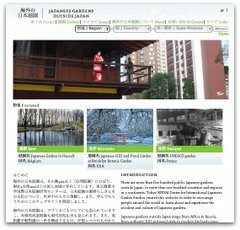 Bringing this knowledge online will be very helpful for people around the world who are interested in knowing about and visiting hundreds of Japanese gardens in dozens of countries. And working with design stars Ian and Yuki, I am confident that we can combine simplicity and beauty in the interface. Tokyo palm trees with ginko leaves are not most foreigners’ image of the typical Japanese fall landscape. I love this juxtaposition of Tokyo’s most common, self-seeding palm tree named Shuro (シュロ, or Trachycarpus fortunei) and fallen yellow ginko leaves. Most people think of fall as defined by maple leaves turning red, or winter as pine trees. This unexpected combination of ginko and palm is an alternative juxtaposition of deciduous and evergreen. This photo is from “Shuro hill” at Tokyo’s oldest Japanese garden, Koishikawa Korakuen (小石川小楽園), created in the early Edo period by the second Tokugawa ruler. This area is also called “Kiso yama,”with the mountain, path, and stream designed to evoke the Kyoto highway. This is but one of many garden scenes that miniaturize famous places in Japan and China. My appreciation of this garden is indebted to the passion and knowledge shared by my professor Suzuki Makoto who gives the most extraordinary tour. This last image shows the juxtaposition between this nearly 400 year old garden and modern Tokyo. In the background are Tokyo Dome (right) and the Bunkyo ward office (left). Many of the garden structures were destroyed during the 1945 fire-bombing of Tokyo, and the garden reduced in size by post-war development. Despite its abbreviated size, the garden is large enough that only later did I realize I forgot to see the rice paddy on the north side. The loud bird cries indicate that this garden is a critical nature sanctuary in a crowded city. Thanks to Chris Palmieri of AQ design studio, here are two photos of a weekly flower display at Kiba Station, on Tokyo Metro’s Tozai line (T-13). 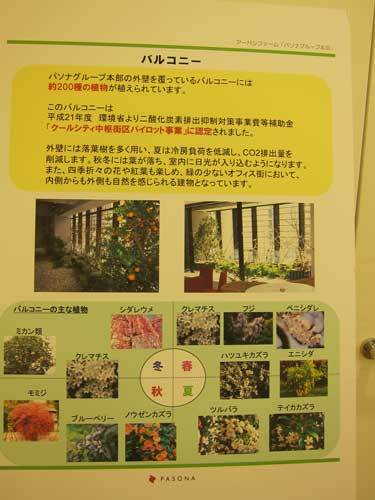 The flower arrangement is created by a flower shop called Kawashima (フラワーショップ・カワシマ) in what seems to be an informal public-private partnership. I like how the local flower shop is offering this public improvement and receiving some publicity for their work. It’s also incredibly lovely that they provide the names of the flowers they use with a simple hand drawing. My only question is why they are unable to make a slight improvement to the scuffed stand. In the US or Europe, I imagine the entire arrangement, including the vase, would be quickly stolen. 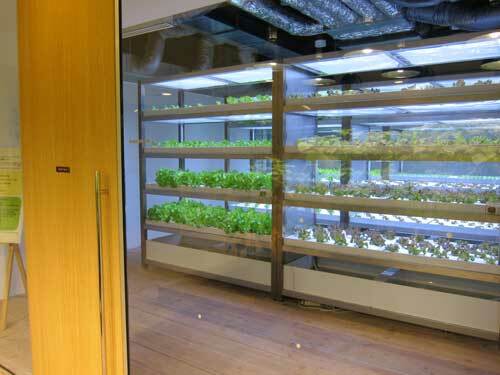 In Japan, there is much more opportunity to share individual and small business gardening with strangers. I spoke about “Gardening the City: Networking Small Green Spaces” at the Jardins y Publics conference last week in Metz, France. The conference brings together world leaders in botanic gardens, garden design, local governments, and tourism. It is organized by Pascal Garbe and the Conseil Général of Moselle, with support from the European Union. The conference exceeded my imagination in terms of discussing new publics for gardens: the disabled, children, seniors, and refugees. I appreciated the outward focus beyond the walls of the garden, and the attendees were very interested to hear about Tokyo street gardens and urban wildness. One of the most interesting and discussed talks was by Fritz Haeg, who has turned American lawns into vegetable gardens and received much attention from contemporary art museums. I am interested to read his book about this project, called Edible Estates. Other speakers included leaders of the Barcelona, Singapore, New York and Montreal botanic gardens, Scandinavian garden designers, nonprofit community organizers, health advocates, and promoters of private gardens. Attendees included local government officials and landscape design students from this interesting area along the French, German and Luxembourg border. The conference was an amazing experience. Further highlights included visiting the Jardins Fruitiers de Laquenexy, and the Centre Pompidou-Metz. Metz itself is a charming town divided between a historic French city around a very steep cathedral, and a German city built around the train station. Leaving a meeting recently, I walked through some back streets of Aoyama, and came across this amazing sidewalk garden. The contrast between the potted plant garden and the slick glass building was intriguing. The aesthetics, density and plant selection made me realize quickly that this was not an amateur garden. 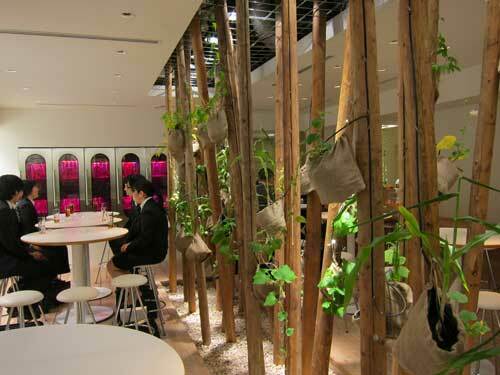 Inside this amazing vertical forest is Kaza Hana, a florist, garden design company, cafe and bar. 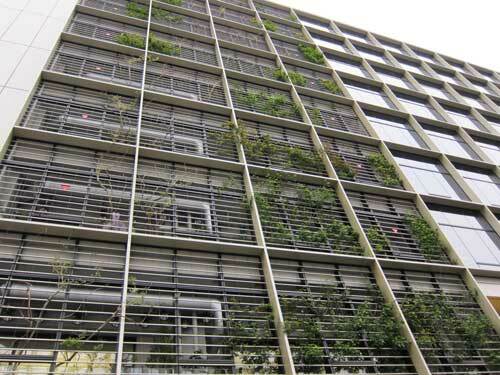 The exterior merits further study for its vertical garden construction, its mix of Japanese garden plants and exotics, and masterful mix of color, texture, and form. 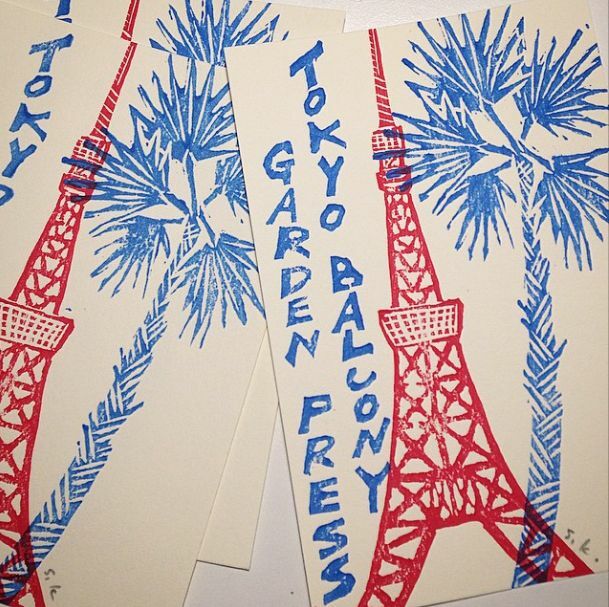 Yoshida-san explained that Kaza Hana’s owner is a garden designer named Ishihara Kazuyuki (石原和幸). 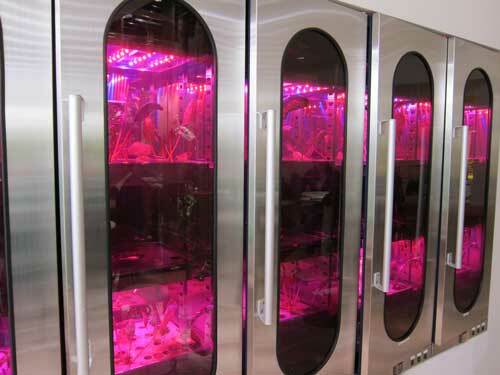 Ishihara-san has won three consecutive gold medals at the world famous Chelsea Flower Show. This fall he will also be showing his work at the 2010 Gardening World Cup this October in Nagasaki; you can see his profile and portfolio on their site. I believe Ishihara-san started as an ikebana designer. Below are two more images from the shop, and also the intriguing sidewalk garden Ishihara-san designed for the hair salon across the street. 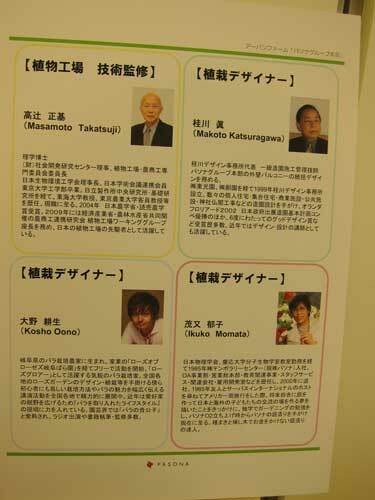 I hope to meet Ishihara-san and learn more about Yoshida-san’s work, too. 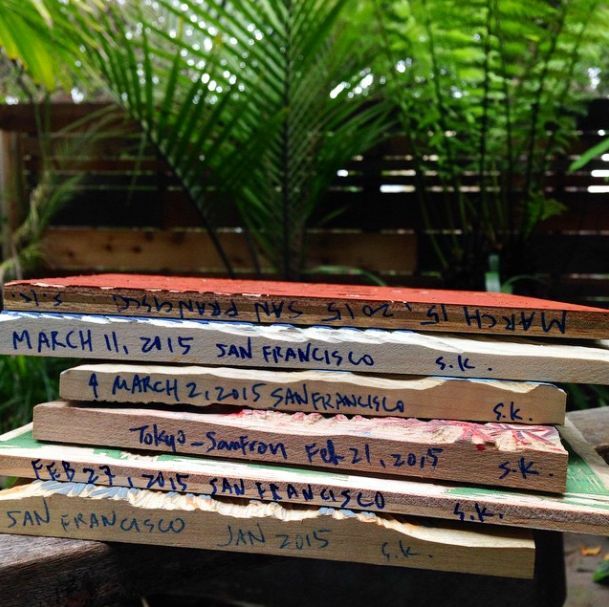 One of the best parts of publishing this blog is hearing from people around the world who share their love of gardening and public spaces. I hear frequently from architecture graduate students (US and UK mostly), environmentalists, and gardeners. 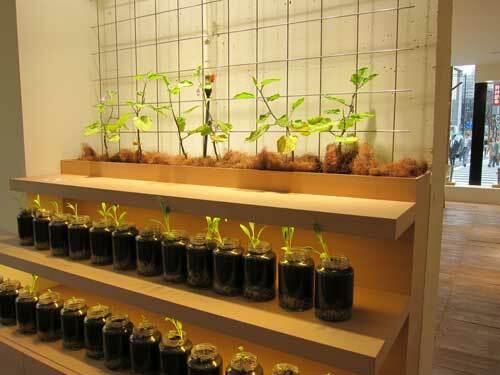 Recently Hester van Dijk of Overtreders W contacted me and shared her photos of urban and rural gardening in Japan. Oversteders W is a Dutch spatial design studio. The photos in this post are hers, republished with permission, and you can see her complete photo set online. She is a much better photographer than I am. Last autumn I traveled in Japan by bicycle, and I was fascinated by the subject of city gardening in Japan too. I collected a series of photos that I think might be interesting to see for you, not just from Tokyo but also from Kyoto, Kanazawa, Hida Takayama, Osaka, Naoshima and the countryside. 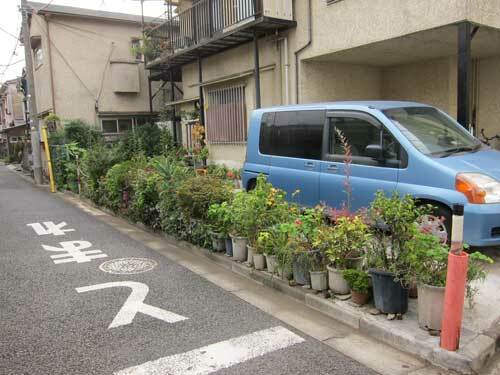 The Japanese way of sidewalk gardening is so creative, much more interesting than here in Holland. The subject has been very inspiring for me as a public space designer.